The Circus That was the 2011 Royal Wedding was larger than life. The New Princess, Well forgive me “Duchess of Cambridge”, was looking ever so chic in her simple yet dramatic dress this morning. I’m sure, that unknown designer will surely be known now! Which was a secret in of itself, finding out last moment it was the house of McQueen’s new C.D.’s creation, which was a HIT! However, among the royals and commoners, the real Tea Party was the Sea of Crowned heads. The Crowned Heads of our true Monarch of style, Lord Phillip Treacy, Of course our Lord may not exactly be HRH, but he sure is a King in his own right. Not a day goes by that our very own Mad Hatter is grateful that His queen is not in the habit of loping the heads of her court. In the early 1980s our Lord of the Hat, studied in the lines of journalism as well as fashion and continued through the early 1990’s, Then an invitation came in 1991, it was his pleasure to meet The Mad dresser, and of course in true court style, sat for tea. Karl Lagerfeld introduced Treacy to the World of Coco Chanel, and by his third sip he was half way through his Collection in collaboration with The House of Chanel. Through his early success he met the ever-alluring The Late Isabella Blow, a Cheshire cat of many pranks even a hat Thief some would say. Known to be as outlandish and outrageous as the designers she put on the map, Blow was the uncrowned head Treacy was waiting for. The royal Family, in true Queen of Hearts style, have long lived the tradition of the crowned head. The crowns of the royals have long been reserved for special long lasting traditions. A wedding today may be considered a special tradition, but Long Lasting not so much, although one must not be seen uncrowned, God forbid one may come across looking like a Peasant. The Royal Wedding was an opulent ceremony fit for a princess. The Hats where fit for queens. 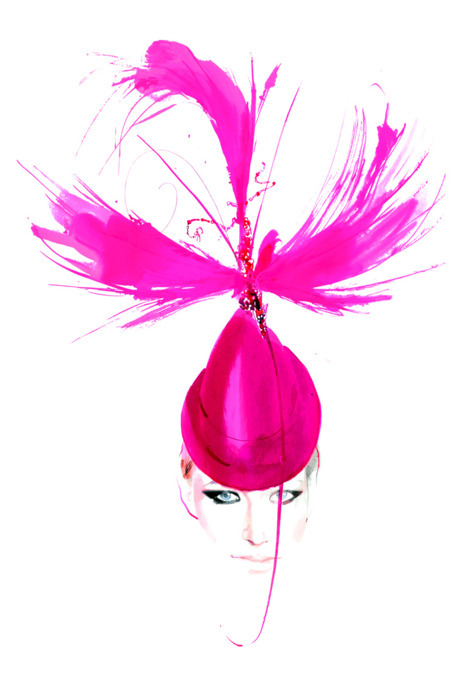 The entire Philip Treacy 2011 collection was present, from the bowl hats to top hats. What is it about hats that make the Brits go wild about? In the USA, we have our American hero Ralph Lauren who tends to bring the hat look in, this was true of his Anniversary Collection in 2008, “yet another occasion”. Americans however aside from The Lauren, is our ever-Proud Kentucky Derby, where the sea of hats is alive and ready to TEA PARTY. The crown of the royals is a symbol of Power, the Royal family considers themselves, Divine, as it was asked From GOD, to take the Crown and lead the people, this is also true of the Vatican and the Papal Dress. Could it be, that for some reason, in order to show power we must adorn our heads with lavish art works in order to show status? Its always been told to us that the front most part of our head is known as our temple, maybe after all we are divine. 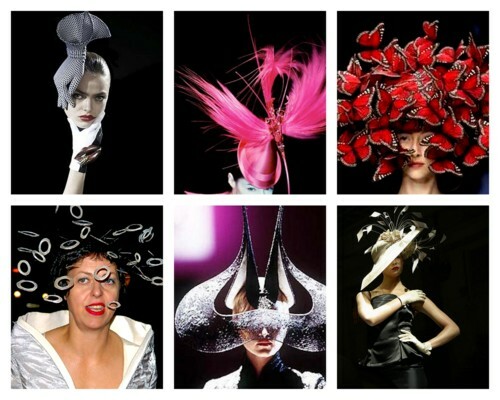 If our heads are a temple, then Philip Treacy may just be our DaVinci to our Sistine Chapel. Philip Treacy has luckily enough been with us, through many trends, many Princesses, and around much common wealth; For wealth rather than title is the secret to be crowned by our Mad Hatter. The Treacy Hats, to this day, are as eventful as a royal wedding.